One of today’s most influential voices in workplace trends, Chester Elton has spent two decades helping clients engage their employees to execute on strategy, vision, and values. 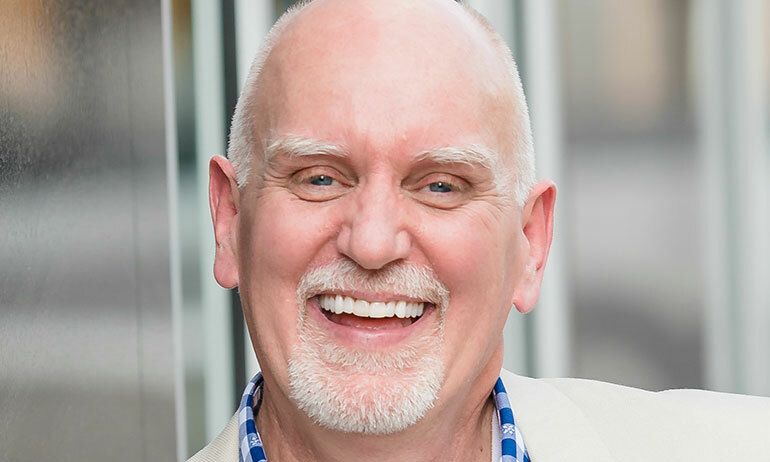 In his provocative, inspiring and always entertaining talks, #1 bestselling leadership author Chester Elton provides real solutions to leaders looking to manage change, drive innovation, and lead a multi-generational workforce. Elton’s work is supported by research with more than 850,000 working adults, revealing the proven secrets behind high-performance cultures and teams. He has been called the “apostle of appreciation” by Canada’s Globe and Mail, “creative and refreshing‚” by the New York Times, and a “must read for modern managers” by CNN. Elton is co-author of the multiple award-winning New York Times and #1 USA Today and Wall Street Journal bestselling leadership book, All In, The Carrot Principle, and The Best Team Wins. His books have been translated in more than 30 languages and have sold more than 1.5 million copies worldwide. Elton is often quoted in publications such as the Wall Street Journal, Washington Post, Fast Company and the New York Times. He has appeared on NBC’s Today, CNN, ABC, MSNBC, National Public Radio and CBS’s 60 Minutes. In 2018 Global Gurus research organization ranked him as #13 in the world’s top leadership experts and #5 in the world’s top organizational culture experts; and he is a member of Marshall Goldsmith’s 100 Coaches pay it forward project. Elton is the co-founder of The Culture Works, a global training company and a board member of Camp Corral, a non-profit for the children of wounded and fallen military heroes. He serves as a leadership consultant to firms such as American Express, AT&T, Avis Budget Group and Procter & Gamble. He is most proud, however, to be the father of four exceptional children-more exceptional now they’ve grown up and left home. The vast majority of employees’ days are now spent working collaboratively, but still 96 percent of executives cite poor teamwork as the main source of workplace failures in their organizations. It might be the most-pressing question organizations must address: How can managers lead their teams to improved performance given the volatility and challenges we face today. Based on an 850,000-person study of the most profitable, innovative work teams, New York Times bestselling author Chester Elton introduces his audiences to the new science of teamwork—helping leaders deal with the increased speed of change in business, global and remote employees, the rise of the Millennials, the need to work more cross-functionally across departments, and more. Most managers want to create cultures where their teams achieve above-and-beyond results, but for a culture to really take off teammates must encourage each other on a daily basis. The answer is in rooting for each other: having each other’s backs, appreciating strengths, and recognizing strategic behaviors. Based his #1 bestselling book The Carrot Principle, which unveiled a 10-year, 200,000- person survey, Elton has become the preeminent authority on employee recognition. Now, he introduces us to Carrots 2.0—showing incontrovertible evidence that today’s employees respond best when they are recognized for things they are good at and for those actions where they had to stretch. While most leaders understand their most reliable competitive advantage comes from their people, few know how to get their teams “all in”—convincing employees to buy into the strategy they’ve put forward. If a culture is clear, positive, and strong, then people will believe what they do matters and that they can make a difference. If a culture is dysfunctional—chaotic, combative or indifferent—employees will spend more time thinking about why the people sitting next to them should be fired than getting fired up themselves. Teaming up with research giant Towers Watson, #1 bestselling author Chester Elton presents the findings of an unprecedented 300,000-person study conducted in the worst of the recession for his book All In. Based on this breakthrough research and his extensive consulting experience with a who’s-who of successful organizations, he presents a simple road map that all managers can follow to create a high-achieving culture in their own teams where employees are engaged, enabled and energized. how managers at any level can build a productive workgroup culture of their own where employees commit to the culture and give an extra push of effort.